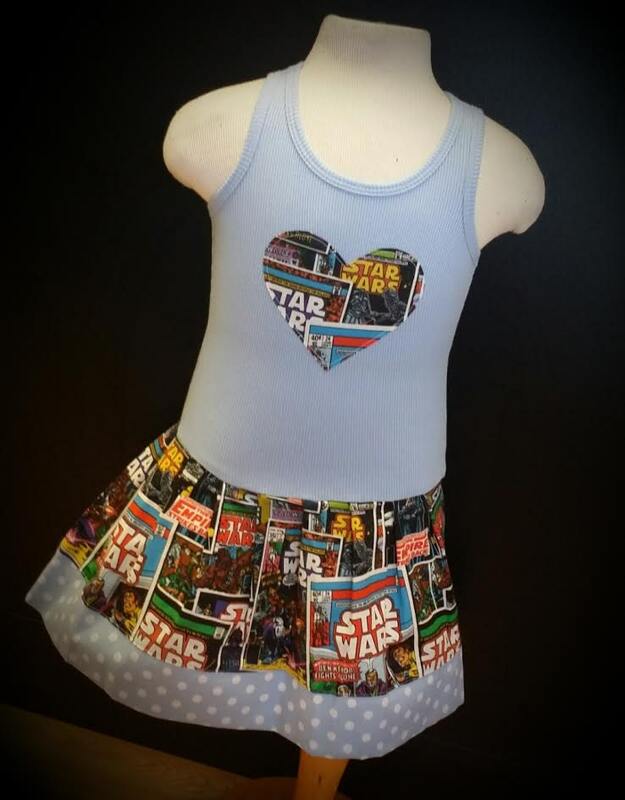 Hand Made Dress, Star Wars Fabric. You can change the tank color or border of this dress to any other color...other colors that look amazing are red, navy blue, and yellow. 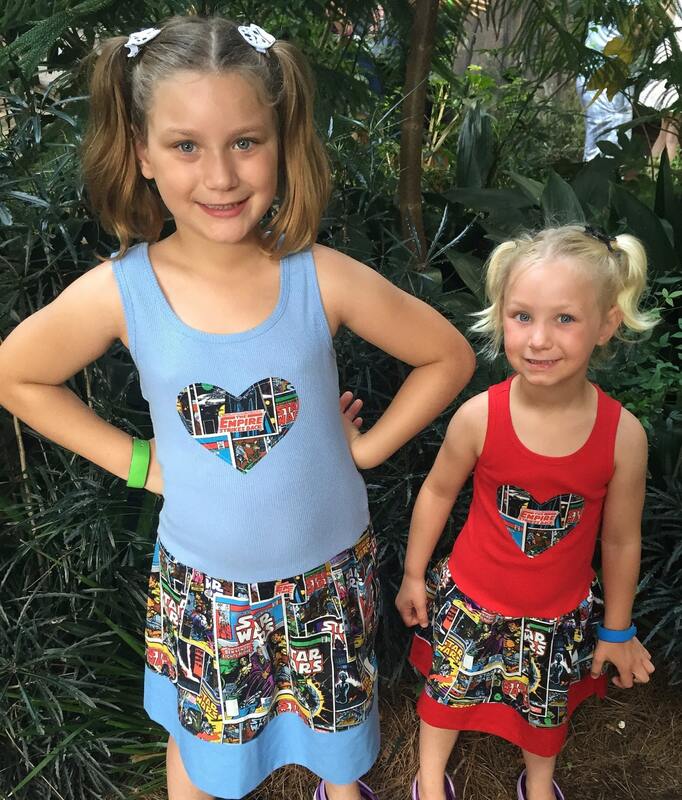 Love, love, love the dresses I got from here for my girls! Very cute - love it!! My grandkids got these in time to go see the new movie. They love Star Wars and the dresses were made well. The communication and delivery was also great.